Rowing in Ireland is a sport of sharp contrasts. Relatively little time separates months of winter training, devoid of competition, and the hectic summer regatta season which sees clubs compete almost every weekend, with any luck in decidedly more clement conditions. The change of gears which must occur if a crew is to bring whatever success they enjoyed during the winter into the summer regattas, can expose weaknesses which went undiagnosed during the head season. Coach and crew must adapt to a world of the racing starts, powerful striding rhythms, and all the sinew straining agony of the sprint for the finish line. Often it is the case that a crew which showed speed early in the season fades to obscurity under the eyes of Persephone. After a strong performance in the eight at the university championships, UCD?s rowers used Skibbereen regatta as an opportunity to develop technique and boatmanship by racing in other events. The senior pair of Finbar Manning and Dave Neale cruised to victory, exhibiting the impressive speed they had developed over the course of their involvement in the Irish under 23 squad. The senior quad, not a boat class which UCD have placed a great deal of emphasis on, raced competently, but was ultimately outclassed by more cohesive units from Commercial and Skibbereen. The novice coxed four added to their already impressive tally of wins by putting clear water on the field in the final of their event. Following Skibbereen, UCD returned to Islandbridge for Neptune regatta. The difficulty of rowing efficiently at high rates is exacerbated during any race held on this stretch of water by the not insignificant task of schlepping several hundred kilograms of crew and craft, moving at full racing speed, around a bend not unlike those faced by Schumacher and co. in the harbour of Monaco. A number of notable absences meant that the depth of UCD?s senior squad was tested to such lengths that the well groomed blade work of Damir Rasidovic was recruited at the eleventh hour. The senior four rowed powerfully and with all the rhythm of a highly trained dance act comprising exclusively of peculiarly well coordinated dwarves with crew cuts and red waistcoats, to claim victory over an experienced Galway rowing club crew. The senior eight were less successful, the scratch line up simply short of speed against the efficient Galwegians. The novice eights final saw the 1st years facing their 2nd novice rivals in something of a grudge match. Off the start the less experienced crew managed to gain a slight lead, which they soon extended to about a third of a length. The Garda bend, however, did not work in their favour, and as the crews straightened up for the final stretch, the 2nd years had gained parity. At this point the strain of the early efforts began to show in the 1st year boat, and their exuberant alacrity gave way to laboured hardship. The celebrations in the 2nd year boat were the only reviews the 1st novices? performance needed, yet unfortunately the temptations of summer debauchery have lured many of the crew away from the asceticism of rowing, so perhaps this is the first and last chapter of this rivalry. UCD travelled to Dorney Lake to compete in London Metropolitan regatta on the back of a Trinity regatta which was as devoid of success as the Dresden premier of Schumann?s second symphony. Unperturbed, UCD?s senior four managed to claimed a prestigious and emphatic victory in the first of two days of racing. Success at a regatta as well attended and esteemed as London Met can scarcely be compared to victory at any Irish event short of national champs, so it follows that both coach and crew were suitably pleased with every aspect of the performance. The second day?s racing saw UCD face a crew from Oxford Brookes, which is said to be a strong contender for the Prince Albert trophy at Henley. UCD led the field for a large proportion of race, but unfortunately failed to capitalise on this, and Brookes took the silverware. Disappointed but far from disheartened, UCD?s senior four are confident that they have the speed to match and surpass any crew they raced at London Metropolitan, a not disagreeable position in which to find oneself in the weeks prior to Henley. Dublin Metropolitan regatta, the last event UCD will race on Irish waters before the national championships, represented an important opportunity to maintain momentum. The senior four once again showed their speed, finishing ten seconds ahead of the next fastest boat in their final. Attention now turns toward this narrative?s thrilling denouement: Henley and the national championships. Seasons full of all the vicissitudes of fortune and fate, hours spent in the complex solitude of exertion, weeks of the turmoil and tumult of the weights room, all boil down to a couple of weeks. Success, and the efforts of the year become threads in a tapestry of victory, failure, and those memories not forgotten become discoloured by the black ink of the record books, reticent yet authoritative, summing up all endeavours in a sober account of this final throw of the dice. 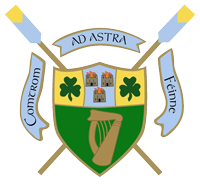 UCD will travel to Henley and nationals confident that they can distinguish their endeavours from all those years forgotten for lack of final glory.